Wolfe’s Steam Carpet Cleaning has been serving customers in Gig Harbor and all throughout Pierce County for over 30 years. Using the most effective carpet cleansing method available, truck mounted steam cleaning. Mobile steam wands and powerful vacuum hoses thoroughly extract abrasive soil and residue. Our machines clean deeper, leave carpets dryer, and extend carpet life. Wolfe’s Technicians are also equipped with highly specialized stain removers which enable them to tackle food, grease, urine, make up, and other hard-to-remove spots. Wolfe’s Carpet Cleaners use eco-friendly, non toxic cleaning products and high powered steam to restore your carpet to a “like new” condition. 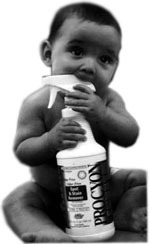 Our carpet cleansing processes utilize the highest technology in cleaning and are totally safe for people and pets. 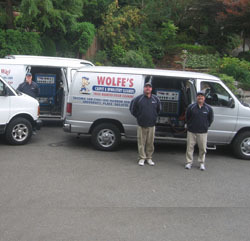 Family owned and operated, Wolfe’s Carpet Cleaning has been the top referral for decades among many Gig Harbor commercial and residential clients. When Wolfe’s carpet technicians clean a carpet they do so with the goal of gaining a customer for life. Unmatched customer service, free consultations and complete satisfaction are 100% guaranteed by the owner himself, Chris Wolfe.